Hi! You love to party? I think Yes! Today Ariel and Elsa are going to rest perfectly with other Disney princesses. Our beauties have only 10 minutes to cook to grandioznoe rest. They urgently need help. Help the girls who don't know what to do makeup and what to wear. They're confused and waiting for your help. How to play: use mouse to do makeup, choose the dress, hairstyle and jewelry for Princess Ariel and Elsa. Played: 59013. Added: 14-11-2015, 02:14. 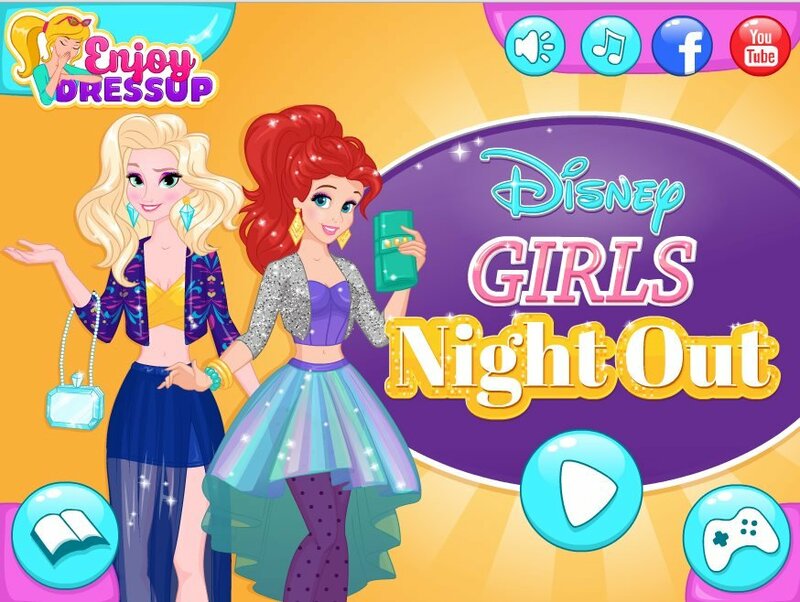 Disney girls night out dress up game.